Rotundone is a grape derived aroma compound responsible for peppery notes in red wines. It has been identified at concentrations surpassing its perception threshold in several red international cultivars (Shiraz, Malbec, Pinot Noir and Gamay), in grape varieties grown in the North East of Italy (Schioppettino and Vespolina) and in the South West of France (Duras, Fer Servadou, Négrette, Prunelard and Abouriou). 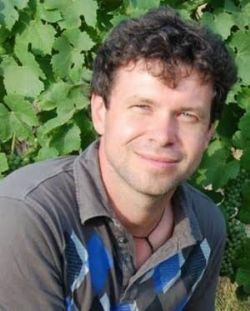 In 2011 and 2012, two separate experiments were carried out in order to determine the effect of maturity and viticultural techniques on the rotundone concentration in red wines from Duras. These experiments were undertaken using a randomized complete block design with three replicates per treatment. In the first experiment, wines were made from grape samples picked at five levels of maturity. In the second one, four viticultural techniques were investigated around veraison and compared with a control treatment: 100% fruit zone leaves removal, 40% grape thinning, jasmonic acid spraying and 4 irrigations of 10 mm of rain. In this video Olivier Geffroy presents the results obtained that provide key and practical elements to manipulate peppery aromas in Duras wines. It might also assists growers producing Shiraz, Pinot Noir, Gamay and other varieties where rotundone makes a significant contribution to wine aroma.